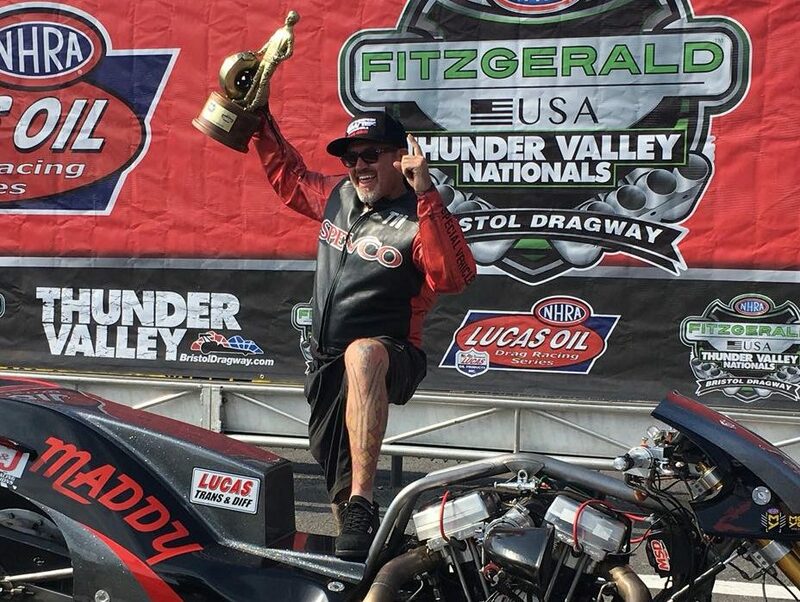 Tii Tharpe collected his third NHRA Wally of 2018 after a final round triumph over point leader Doug Vancil at the Fitzgerald USA Thunder Valley Nationals, June 17, from Bristol, Tenn.
Tharpe crossed the line with a rapid 6.49 at 220 mph as Vancil red lighted and smoked the tire, finishing with a 11.86 at 79 mph. 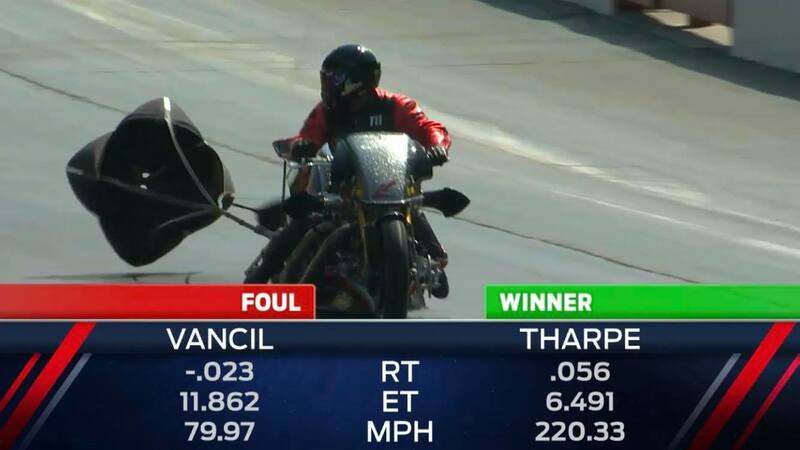 It was Tharpe’s second consecutive Bristol Father’s Day weekend win. This year’s event was as tough as ever with hot conditions and 140-degree track temperatures.